MARIJUANA CAN ALMOST certainly ease chronic pain and might help some people sleep, but it’s also likely to raise the risk of getting schizophrenia and might trigger heart attacks. Those are among the conclusions reached by a federal advisory panel in a report released in the US today. The experts also called for a national effort to learn more about marijuana and its chemical cousins, including similarly acting compounds called cannabinoids. The current lack of scientific information “poses a public health risk”, the report, released by the National Academies of Sciences, Engineering and Medicine, said. Patients, healthcare professionals and policy makers need more evidence to make sound decisions, it said. Several factors have limited research. While the federal government has approved some medicines containing ingredients found in marijuana, it still classifies marijuana as illegal and imposes restrictions on research. So scientists have to jump through bureaucratic hoops that some find daunting, the report added. A federal focus on paying for studies of potential harms has also impeded research into possible health benefits, the report said. 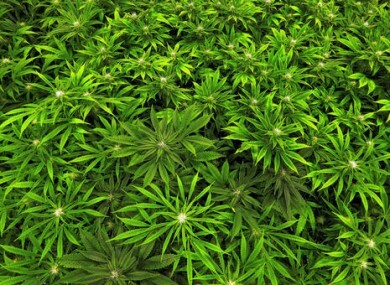 The range of marijuana products available for study has also been restricted, although the government is expanding the number of approved suppliers. Some 28 states and the District of Columbia have legalised marijuana for a variety of medical uses, and eight of those states plus the district have also legalised it for recreational use. The report lists nearly 100 conclusions about marijuana and its similarly acting chemical cousins, drawing on studies published since 1999. It found strong evidence, for example, that marijuana can treat chronic pain in adults and that similar compounds ease nausea from chemotherapy, with varying degrees of evidence for treating muscle stiffness and spasms in multiple sclerosis (MS). Limited evidence says marijuana or the other compounds can boost appetite in people with HIV or AIDS, and ease symptoms of post-traumatic stress disorder (PTSD), the report concluded. But it said there’s not enough research to say whether they’re effective for treating cancers, irritable bowel syndrome, epilepsy, or certain symptoms of Parkinson’s disease, or helping people beat addictions. There may be more evidence soon: a study in Colorado is investigating the use of marijuana to treat PTSD. Strong evidence links marijuana use to the risk of developing schizophrenia and other causes of psychosis, with the highest risk among the most frequent users. Some evidence suggests a small increased risk for developing depressive disorders, but there’s no evidence either way on whether it affects the course or symptoms of such disorders, or the risk of developing PTSD. There’s strong evidence that using marijuana increases the risk of a traffic accident, but no clear indication that it promotes workplace accidents or injuries, or death from a marijuana overdose. There’s only weak evidence for the idea that it hurts school achievement, raises unemployment rates or harms social functioning. For pregnant women who smoke pot, there’s strong evidence of reduced birthweight but only weak evidence of any effect on pregnancy complications for the mother, or an infant’s need for admission to intensive care. There’s not enough evidence to show whether it affects the child later, like sudden infant death syndrome or substance use. Some evidence suggests there’s no link to lung cancer in marijuana smokers. But there’s no evidence, or insufficient evidence, to support or rebut any link to developing cancers of the prostate, cervix, bladder or oesophagus. Substantial evidence links pot smoking to worse respiratory symptoms and more frequent episodes of chronic bronchitis. There’s weak evidence that suggests smoking marijuana can trigger a heart attack, especially for people at high risk of heart disease. But there’s no evidence either way on whether chronic use affects a person’s risk of a heart attack. Some evidence suggests a link between using marijuana and developing a dependence on or abuse of other substances, including alcohol, tobacco and illicit drugs. Email “Marijuana 'eases chronic pain, but may increase risk of schizophrenia'”. Feedback on “Marijuana 'eases chronic pain, but may increase risk of schizophrenia'”.